No wonder these girls are upset! Those eyebrows are going to swallow them. 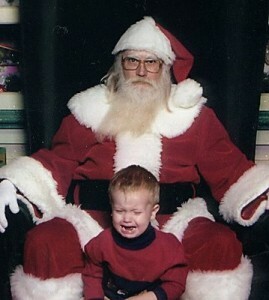 I’m sure Santa has his off days, but he’s never this grumpy! 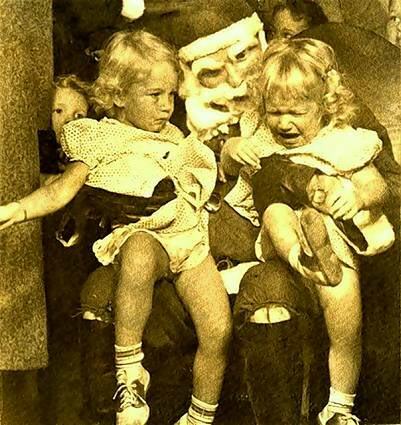 It’s common knowledge that the real Santa wears clothes that fit. 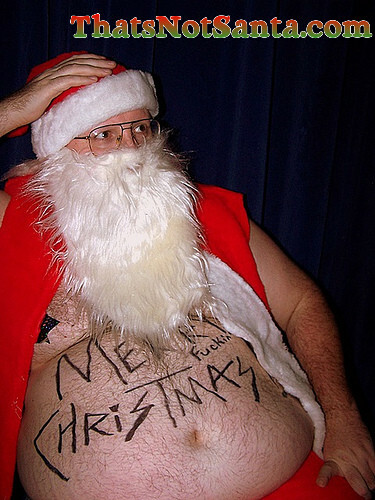 Would Mrs. Claus ever let her husband out in public dressed like that? We can tell this bowlful of jelly was created by beer not cookies and milk! 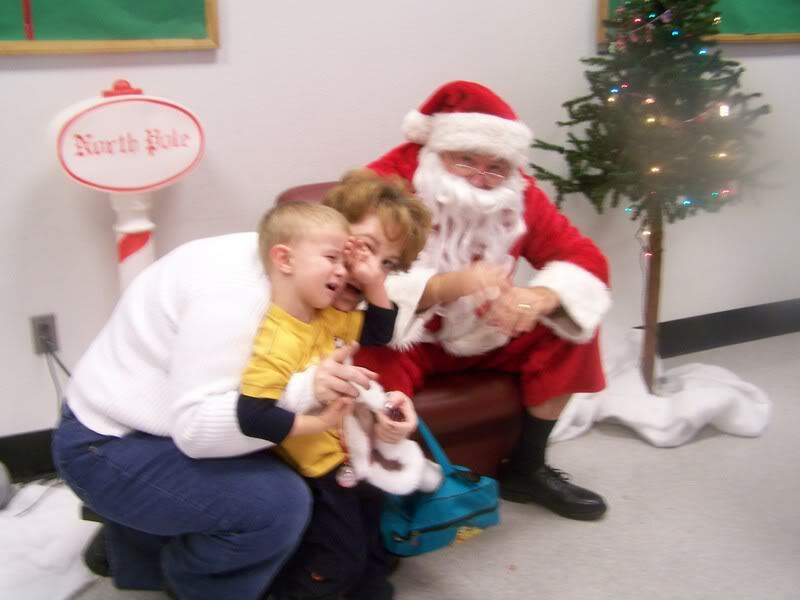 He maybe a Santa impostor but he found his way onto the good list by catching this thief!